Historically, cognitive modeling has been an exercise in theory confirmation. 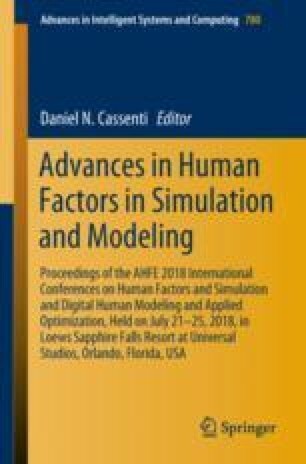 “Cognitive architectures” were advanced as computational instantiations of theories that could be used to model various aspects of cognition and then be put to empirical test by comparing the simulation-based predictions of the model against the actual performance of human subjects. More recently, cognitive architectures have been recognized as potentially valuable tools in the development of software agents—intelligent routines that can either mimic or support human performance in complex domains. While the introduction of cognitive architectures to what has been regarded as the exclusive province of artificial intelligence is a welcome turn, the history of cognitive modeling casts a long shadow. In particular, there is a tendency to apply cognitive architectures as monolithic, one-off solutions. This runs counter to many of the best practices of modern software engineering, which puts a premium on developing modular and reusable solutions. This paper describes the development of a novel software infrastructure that supports interoperability among cognitive architectures.